“Congrats to Zhaoye’s Successful exhibiting at the 36th CIFF-Shanghai”, said Mr. Wang Ke, the Chairman of Guangdong Furniture Association (GFA), after his’ listening to the introduction from Mr. Ma Jinqing, the General Manager of Zhongshan Zhaoye Furniture Manufacture Co. Ltd (NineYes Furniture) at booth NO. 5.2C01 CIFF-Shanghai on Sept. 9, 2015. 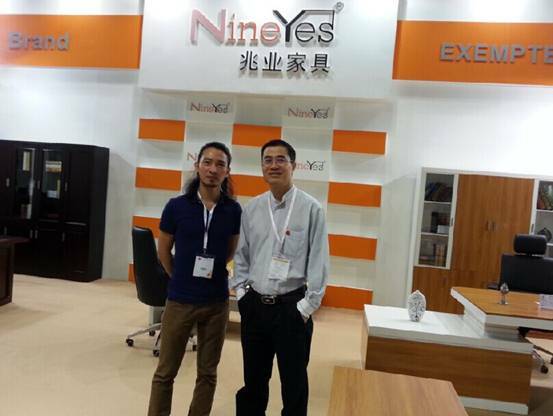 Mr. Ma Jinqing, G. M. of NineYes Furniture, Mr. Wang Ke, the Chairman of G. F. A.
Mr. Wang Ke quite agreed on the strategy of NineYes’s strategy: self-designing, own patent, high quality, and quick response to meet market’s demand. 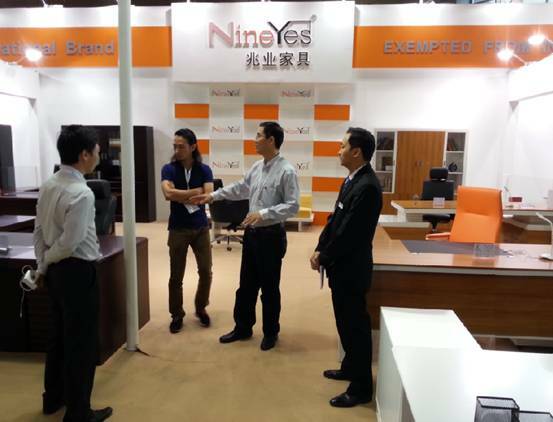 Mr. Wang Ke remembered that NineYes won the excellent export-oriented furniture enterprise in the field of office furniture during the year of 2010 to 2014. and had a very good impression on NineYes Furniture. 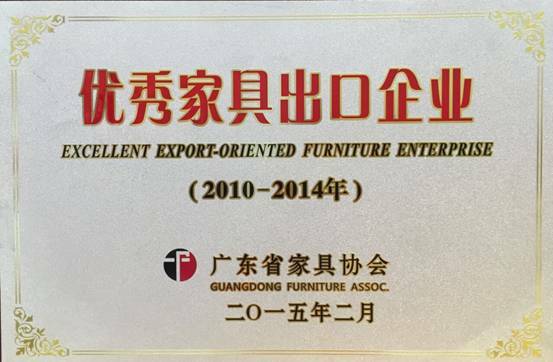 “Thanks for G. F. A.’s support during the past years”, Said Mr. Ma Jinqing, “NineYes Furniture will insist on her own way to develop step by step. On the one hand, we will keep NineYes’ specialty, and on the other hand, we will strenghten our advantages in the export field”, which was accompanied by Mr. Ma Jinmin, Vice G. M. of NineYes Furniture, Mr. Jack Xie, Export Sales Director of NineYes Furniture. Mr. Ma Jinmin, Vice G. M., Mr. Ma Jinqing, G. M., Mr. Wang Ke, chairman of G. F. A., Mr. Jack Xie, Export Sales Director.